Caverion has signed a contract with the general contractor Ed. Züblin AG to deliver the air conditioning and ventilation systems for a new office building in the city centre of Berlin. The order value amounts to EUR 6.9 million. Axel Springer SE is Europe’s leading digital publisher and commissioned the new 13-floor office building, which will include 115,000 square meters. 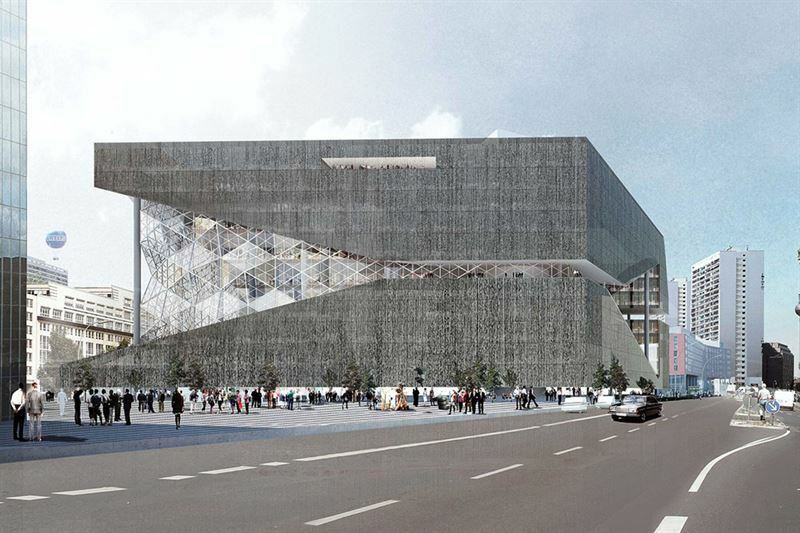 The cube shaped building is characterized by a 30-meter-high atrium. "In the centre of Berlin, a new working environment is created that must meet the highest standards. The quality of the indoor climate plays a decisive role here. We are pleased to contribute our expertise in this field to this prestigious project," says Werner Kühn, Executive Vice President & CEO at Caverion Germany. In addition to the air conditioning and ventilation systems Caverion is responsible for the installation of the smoke extraction system. Caverion’s delivery will be completed in December 2019. Ed. Züblin AG belongs to Caverion’s General Contractors client segment. Read more about our projects to General Contractors segment.